This recipe is incredibly simple, supremely tasty, and wonderfully healthy! Yup it’s another great Weight Watchers Recipe. 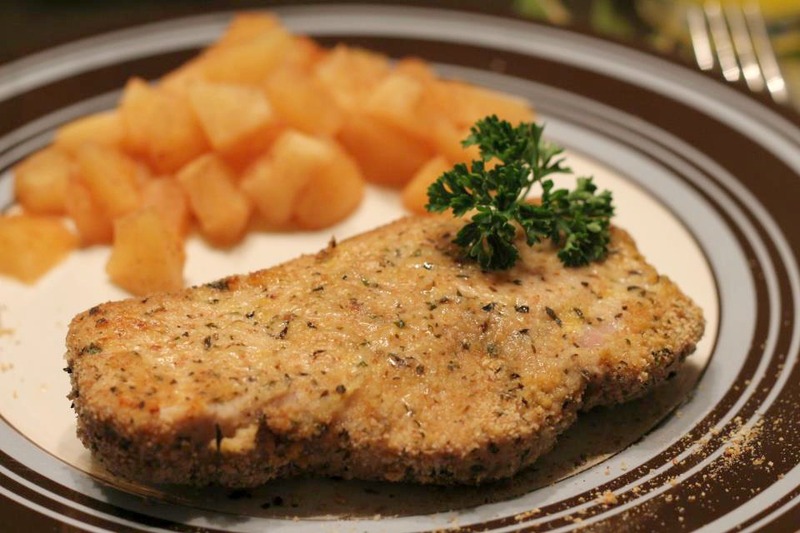 The seasoning was just perfect and complimented the tender pork chop to a T.
It takes less than 10 minutes to prepare and then 30 minutes of baking time. The amount of effort is not proportionate to the great taste of this dish. It seems like something that tastes so good should take longer, but that is thankfully not the case! This will become a go-to meal for something easy yet delicious. Combine lemon juice and egg in a shallow dish. In another shallow dish, combine basil, breadcrumbs, and zest. Dip chops in egg mixture and then into breadcrumb mixture. Place in a sprayed baking dish. Bake for 30 minutes.